Old Coastguard Cottage01263 715779work01603 870304fax Self-cateringThis early19th Century cottage is only a 300m amble to the delightful sandy beach in Mundesley on the east Norfolk coast. This charming seaside village has good local amenities and attractions such as the Maritime Museum, which is thought to be one of the smallest museums in the country. The village lies on the Norfolk Coastal Path, which is great for walking in either direction and there is also good cycling country to seek out. Whilst in this part of Norfolk a day out to The Broads is within easy reach and sights such as Stow Mill, Paston Great Barn, Happisburgh Lighthouse and Horsey Windpump and the Horsey Seal Colony are just a few of the great things to discover. Utilities: Electric cooker, fridge/freezer, microwave, dishwasher, washer/dryer. 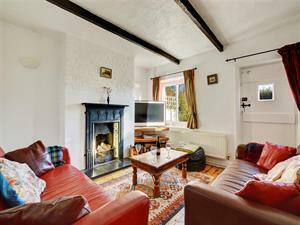 This early19th Century cottage is only a 300m amble to the delightful sandy beach in Mundesley on the east Norfolk coast. This charming seaside village has good local amenities and attractions such as the Maritime Museum, which is thought to be one of the smallest museums in the country. The village lies on the Norfolk Coastal Path, which is great for walking in either direction and there is also good cycling country to seek out. Whilst in this part of Norfolk a day out to The Broads is within easy reach and sights such as Stow Mill, Paston Great Barn, Happisburgh Lighthouse and Horsey Windpump and the Horsey Seal Colony are just a few of the great things to discover.